Slate is a fine-grained, foliated, homogeneous metamorphic rock derived from an original shale-type sedimentary rock composed of clay or volcanic ash through low-grade regional metamorphism. Slate has been used in the construction industry for years with the roofing trade. Recently it has been used in many high grade floors. The richness of colour has been used by interior designers to create a modern effect. Slate is a versatile material which can be honed, smooth or polished to a shine. 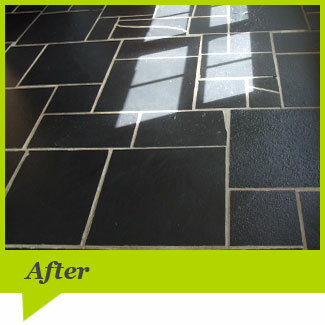 Slate is naturally uneven but can be made level by using a diamond abrasive. 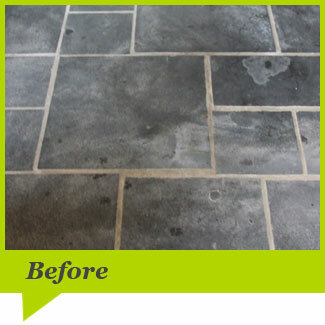 See below an example of a restored slate floor.